Natural Health News — Scottish scientists have discovered an unlikely treatment for acne – marine algae. Research by marine scientists at Stirling University’s internationally renowned Institute of Aquaculture, and published in the journal Marine Drugs, has revealed the medicinal qualities of certain fatty acids including some produced by algae. These fatty acids prevent the growth of Propionibacterium acnes, a bacterium which causes the common skin condition. The bacteria naturally present in the fatty acids, said lead author Dr. Andrew Desbois, has a drying action similar to benzoyl peroxide and salicylic acid – both of which help treat acne. “Fatty acids are present naturally on our skin to defend us against unwanted bacteria – so applying more would boost our existing defences” he added. New treatment options for acne are being sought as current drugs may cause side effects on the skin and bacterial resistance is making them less effective. In this study the scientists found six fatty acids were effective, including eicosapentaenoic acid (EPA), an omega-3 fatty acid already known to be important for human health and wellbeing, and dihomo-gamma-linolenic acid (DGLA), an omega-6 fatty acid with anti-inflammatory properties. EPA is produced by marine algae and then accumulated via the food chain into fish like salmon, while DGLA is made by some types of brown algae (to understand more about how the body uses and converts different essential fatty acids see here). The research, they say will help in the development of prescription medicines containing antibacterial fatty acids for treating acne and other skin diseases. Do you really need a prescription? But do you really need to use a prescription product to get the benefits? Could simply using the widely available oils topically do the same thing? No comparative studies exist. Using an oil-based preparation on acne prone skin may seem counter intuitive, however other studies have shown that for example, coconut oil can inhibit P. acnes on its own or in combination with curcumin. Anecdotal evidence suggests that flaxseed oil can also be effective. Flaxseed is rich in omega-3 fatty acids which can help reduce inflammation – a factor in some types of acne. Borage oil – one of the richest sources of GLA is used topically for acne as well as seborrhoea dermatitis, and neuro-dermatitis. 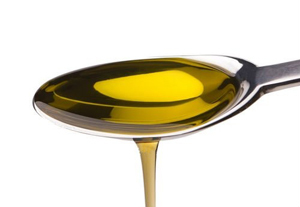 Hemp seed oil, also rich in GLA, is also recommended for acne-prone skin. Taken as supplements of omega-3 fatty acids may also help there is evidence for instance that fish oil supplements can reduce the severity of inflammatory acne. Let’s hear it for healthy fats! Land or sea: what’s the best type of omega-3?